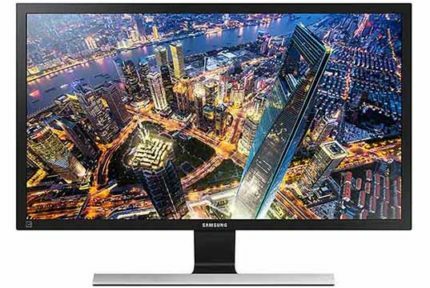 Looking for the cheapest new monitor you can buy? You will most likely stumble upon the Sceptre E205W-1600 V1 which is available for just around $70. Is it worth it? Let’s find out. 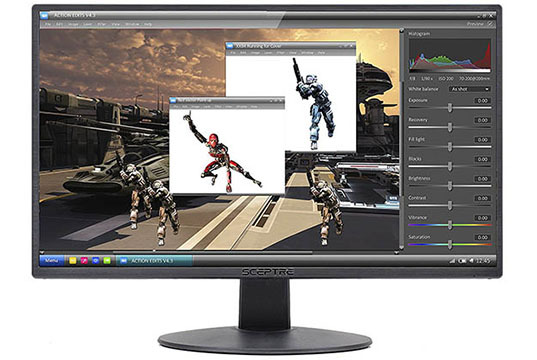 The Sceptre E205W monitor features a TN (Twisted Nematic) panel. Out of all panel types, the TN has the worst color reproduction and the least wide viewing angles of 160 degrees vertically and 170 degrees horizontally. 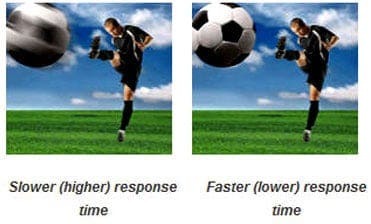 This means that the picture will shift in color and contrast when you look at it from skewed angles. The monitor supports 16.7 million colors with dithered 8-bit depth (6-bit + FRC) and while they aren’t as vibrant or accurate as that of other panel types, they are actually pretty decent. Moreover, the Sceptre E205W-1600 LED-backlit display has a maximum luminance of only 180-nits which can make the picture look dim in really bright or well-lit rooms. 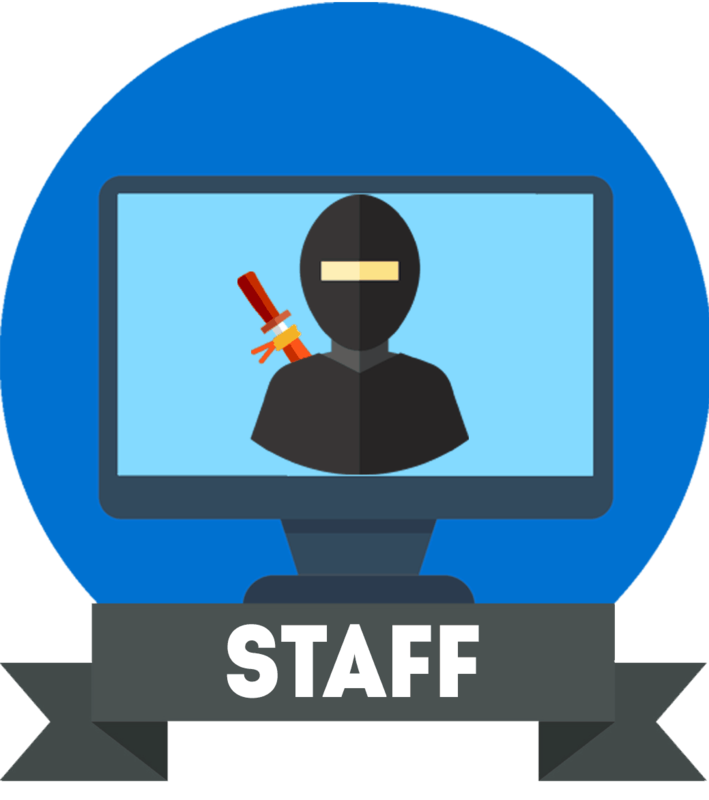 The 1600×900 (HD+) resolution is in-between the 720p and 1080p standards, but due to the monitor’s small size, the density of pixels is good as you won’t be able to individually distinguish pixels unless you are really close to the screen. Usually, the strongest point of TN panels is their response time speed which can be up to 1ms fast. However, the Sceptre E205W-1600 has only a 5ms response time which is even slower than that of certain IPS and VA panels with 4ms. Regardless, there is rarely any ghosting or trailing of fast-moving objects visible. At 75Hz, fast-paced games do feel slightly more responsive and smoother and the 1600×900 resolution makes it easy for you PC rig to reach higher frame rates. To set the monitor to 75Hz, you need to overclock the refresh rate in your graphics card drivers settings. The Sceptre E205W-1600 input lag performance amounts to around 13ms which is not as great as on certain other budget models, but still good enough as there is no noticeable delay in games or everyday use. The On-Screen Display provides you with the standard adjustments such as brightness, contrast, color temperature, input source selection, and volume settings. You can also scale the picture to 16:9 or 4:3 aspect ratio. Other than that, there are no extra features available such as gamma presets or advanced color adjustments. The Sceptre E Series E205W-1600 monitor offers a rather stylish design with somewhat thin bezels at the top and at the sides. You can also detach the tilt-only stand of the monitor and mount the screen using 100 x 100mm VESA holes. Connectivity includes an HDMI, a VGA, a DVI, a headphones jack, and two 2W integrated speakers. 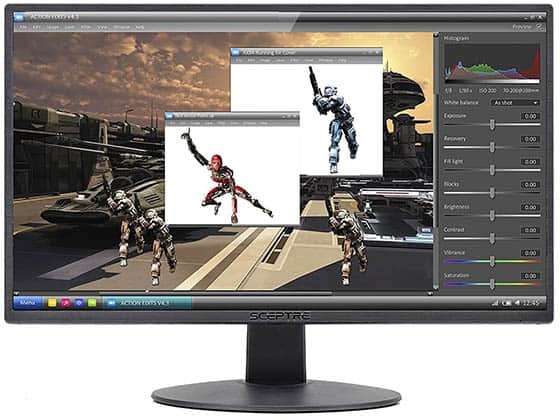 The Sceptre E205W-1600 price is $74 MSRP which makes it one of the cheapest monitors available. If you are on a tight budget, we highly recommend that you save an extra $10-$20 and buy the Acer SB220Q instead. The Acer SB220Q is not only an inch larger but also features an IPS panel and 1080p resolution for a considerably better image quality. Moreover, it has a beautiful slim design and extra gaming features such as AMD FreeSync. 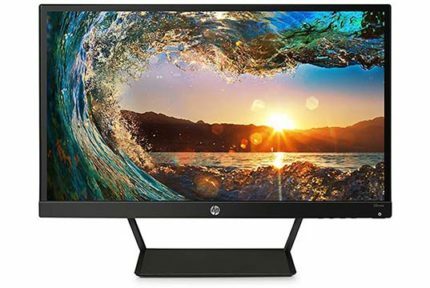 While the cheap price of the Sceptre E205W-1600 TN monitor may sound tempting, we highly suggest that you invest at least a little bit more for a modern 22″ 1080p monitor. 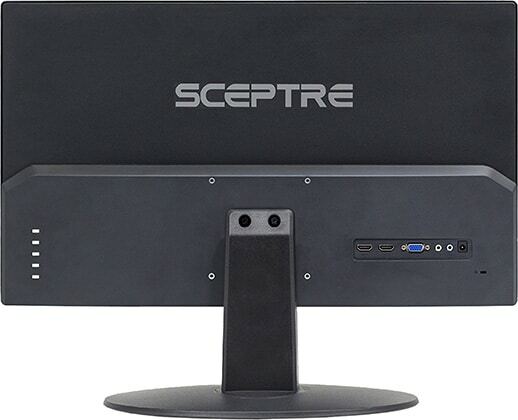 The Sceptre E205W-1600 is an affordable 20" monitor with built-in speakers, VESA mount, and versatile connectivity options. However, its TN panel has a low resolution and brightness as well as a slow response time speed and narrow viewing angles.